If Benjamin Netanyahu's Likud Party succeeds in forming a parliamentary majority and he again serves as prime minister, he would embark on his fourth consecutive and fifth overall term, making him the longest-serving leader in the country's history. Netanyahu was severely tested by Benny Gantz, a former head of the Israeli Defense Forces and a political novice who formed the Blue and White Party, a coalition of centrists and former military officers, on a promise of clean government and social harmony. "This is a day of hope, a day of unity," Gantz, 59, said earlier Tuesday as he cast his vote in Rosh HaAyin near Tel Aviv. "I look into everyone's eyes and know that we can connect." 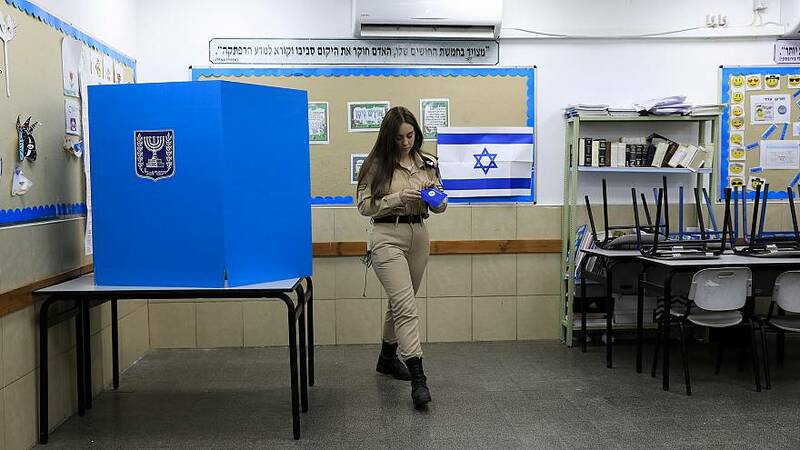 "This is truly the essence of democracy," Netanyahu said at a polling station in Jerusalem with his wife, Sara. "With God's help the State of Israel will prevail. Thank you very much. Go to vote. 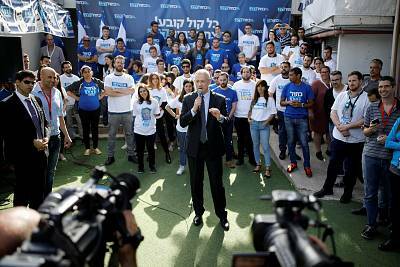 Neither Gantz's Blue and White nor Likud are expected to win an outright majority — no Israeli party ever has in the 120-seat Parliament — which means a larger party will have to form a coalition with smaller ones. Negotiations could take days or even weeks. After final results are released in around 24 hours or so, President Reuven Rivlin will meet with party leaders and select the one he believes is most capable of forming a coalition based on each party's recommendations. Ahead of the election, polls showed Gantz's Blue and White in the lead, but Netanyahu — who has led a series of right-wing coalitions — looked more likely to form a coalition. Should neither bloc be able to form a coalition, Israel could face the prospect of a second election in November. Netanyahu has run a series of right-wing governments that have included religious, far-right and marginal parties. But his recent decision to forge an alliance with a fringe extremist party inspired by an American-born rabbi, Meir Kahane,who advocated a Jewish theocracy and the forced removal of Palestinians, raised alarms among even some Netanyahu allies. The passage in July of the "nation-state" lawdeclaring that only Israel's Jews had the right of self-determination and stripping Arabic of its designation as an official language alongside Hebrew was also decried by critics who say it institutionalized discrimination. Serious scandal dogged Netanyahu's run. On Feb. 28, Israel's attorney general recommended indicting Netanyahu on bribery, fraud and breachof trust in three different cases. He has also been caught up in a scandal involving the $2 billion purchase of submarines from a German company. Police have recommended that Netanyahu's personal attorney, who is also his cousin, be indicted on charges of bribery and money laundering, although the prime minister himself is not a suspect. Netanyahu has called the investigations a "witch hunt." Trump has made a series of decisions that have endeared him to Netanyahu, and to many Israeli voters. The U.S.'s withdrawal from the nuclear agreement withIran —which many Israelis see as an existential threat — was a coup for Netanyahu. Then came the decision to move the U.S. embassy to Jerusalem. And on March 21, Trump recognized Israel's annexation of the Golan Heights, which Israel captured from Syria in 1967. Netanyahu visited the White House on March 25 — underscoring the relationship. And on Monday, he issued a personal message to Trump after the administration announced it wasdesignating the Iranian Revolutionary Guard Corps as a foreign terrorist organization.